In June 2015, the UK Board of Trustees approved a new strategic plan. The development of this plan was guided by input from more than 100 faculty and staff and represents the collective wisdom of our very talented community. We know that change is certain, however, the details around that change remain uncertain. To remain relevant in the health care industry, and specifically in Kentucky and beyond, we must remain aware of our environment and flexible in our approach. Patient experience: Design a leading patient-centric experience that positions UK HealthCare to be Kentucky's destination provider. Strategic cultural alignment: Enable staff and leadership to be ambassadors of the patient-centered culture and UK HealthCare brand. UK HealthCare will continue to become a destination provider by delivering a leading patient-centered experience. Our focus will be on a more connected and personalized experience at key moments in the patient journey where we can drive value to patients, families and the community. Development of a patient experience governance model that includes strong clinical and administrative leadership is critical to this process. In order to provide an exceptional patient experience and successfully implement our strategy, we must maximize the engagement of our employees and medical staff. Strong engagement creates the cultural alignment necessary to meet our goals. Service line growth: Develop integrated service lines focusing on advanced subspecialty care and position them to achieve continued growth over the next five years. Service line growth enablers: Enhance service line inpatient growth by emphasizing operational excellence. Ambulatory specialty care: Support service line ambulatory growth goals by improving access to UK HealthCare specialists, developing a patient-centered care model, and partnering with community physicians. UK HealthCare will continue its focus on the development and ongoing delivery of advanced subspecialty care programs for the state and beyond. This will ensure that no Kentuckian will need to leave the state for care. 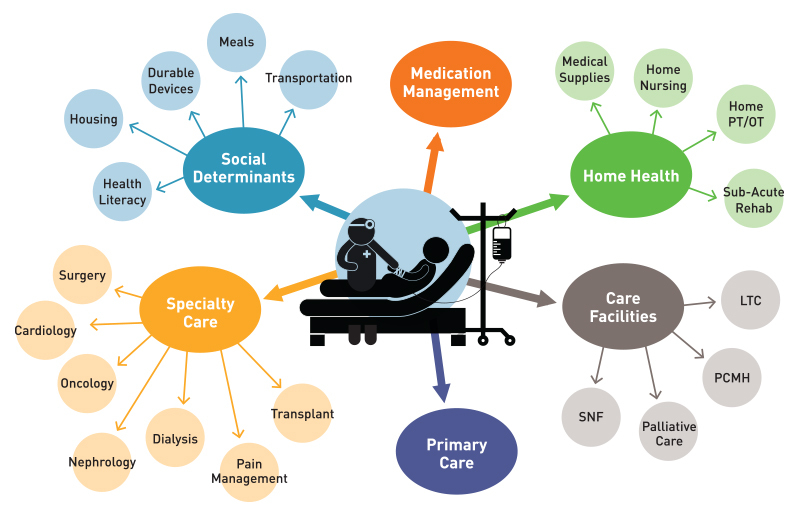 As care is anticipated to move more to the ambulatory setting in the future, we will place increased focus on optimizing ambulatory access to these advanced programs. 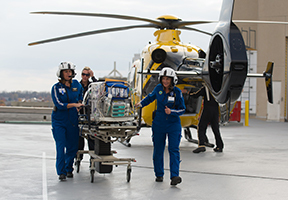 Growth in our advanced programs will depend upon excellence in quality, operational efficiency and care transitions, as well as the development of a service line operating model to support and coordinate comprehensive, multidisciplinary care across the continuum. Acute care partnerships: Partner with health systems to reduce costs, increase efficiency, position for population health and gain access to continuum assets. Post-acute care partnerships: Improve outcomes and reduce wait times for post-acute care by partnering with local and regional facilities. Primary care partnerships: UK HealthCare will develop a primary care network to ensure a seamless experience across the care continuum and position the organization for value-based care and population health. Community care/telehealth: Strengthen Kentucky’s community providers through innovative care models. 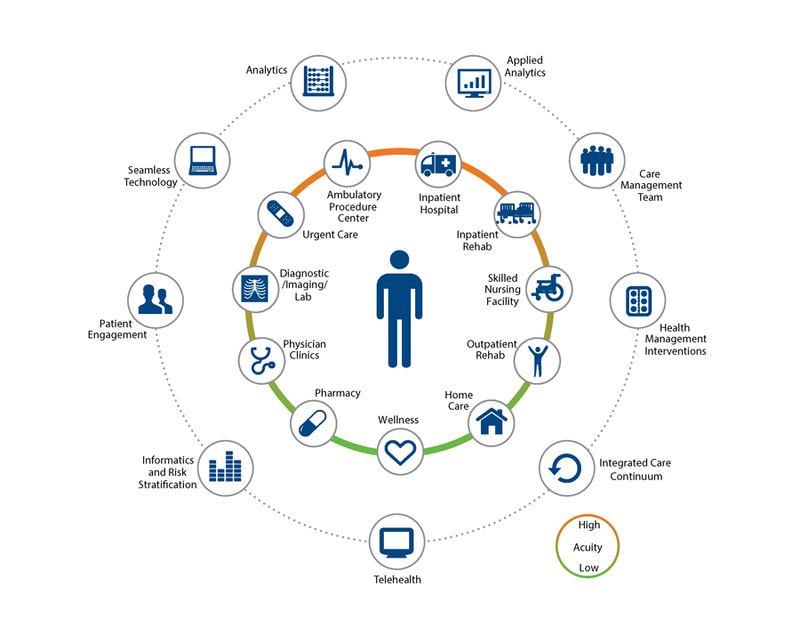 Positioning for the future requires that care be delivered seamlessly across the care continuum, including primary care, acute care and post-acute care. UK HealthCare will focus on collaborating and partnering with providers across the continuum to ensure care is provided effectively, efficiently and appropriately. We must optimize the value of care to the patient. Strengthening community providers via outreach, program collaboration, physician recruitment, training and education will be key to maintaining a strong network of providers in Kentucky – allowing more care to remain close to home. Efforts in collaboration and partnering are critical to UK HealthCare and other providers, enabling all of us to be positioned for the future health care environment. Collaboration and partnering enables each to have autonomy while still gaining scale and efficiencies. Considering the movement toward population health and increased risk-based contracting, it will be imperative to have enough primary care capabilities to transition patients across settings and manage their care. This can be done independently or through partnership. To support the health and wellness of Kentucky’s rural population, UK HealthCare will continue to develop innovative models of care using telemedicine and other virtual capabilities. Value-Based Care: Improve predictability of outcomes and cost while adopting evidence-based leading practices. Value-Based Payments: Prepare to adopt value-based payment models as market forces dictate. Complex Chronic Care: Build a complex chronic care clinic to actively manage the care for this patient population and improve their health outcomes. Providing value includes improving the predictability in patient outcomes and the cost of care. It includes adopting evidence-based practices across all settings of care and building an organization-wide culture of improvement using our quality and excellence capabilities. For UK HealthCare this has been and will continue to be the imperative through 2020. With the emphasis on increasing the value of patient care, new delivery models are needed to enhance how care is provided to patients. In light of this, we will focus on improving the management of patients with multiple, complex chronic conditions through the development of a high-touch outpatient approach. The focus on providing “value” will prepare UK HealthCare for new risk-based payment models either as a strategic choice or in reaction to the evolving market conditions. Defining Value: UK HealthCare is continually working to measure and improve quality outcomes. We strive to maximize the value delivered to our patients by providing access to high quality patient care the lowest possible cost. Maximizing this equation is what we strive for-providing you the best value in health care! As a member of Vizient (formerly known as UHC or the University HealthSystem Consortium), we measure ourselves based on other national academic medical centers. Unlike other hospital and health care rankings used across the U.S., the Vizient rankings and targets rely entirely on objective data and analysis of patient outcomes. Service line operating model: Develop a service line operating model to enable and enhance the organization’s strategic initiatives. Technology: UK HealthCare will invest in integrated technology that standardizes data across the organization and enables population health management. Strategy implementation: Build a strategy implementation resource that will provide UK HealthCare with needed oversight and management to execute the 2020 strategy. Facility planning: Continue the development of facilities to optimize the efficient delivery of advanced subspecialty care programs. Branding & marketing: Brand leverage is a critical success factor for UK HealthCare to effectively compete in today’s health care environment. Do strategic plans really work? Yes. In fact, UK HealthCare is a great example of a successful strategic plan implementation. Much of UK HealthCare’s success over the last 10 years can be attributed to the clear vision outlined for our enterprise in the 2004 strategic plan (updated 2010). We’re proud of that success. In order to continue our growth, we must continue to develop and execute a well-thought-out strategic plan that allows us to successfully navigate the ever-changing health care industry. How does this strategic plan impact employees like me? While it may seem to some that this plan only impacts a select few, it actually affects every employee of UK HealthCare. For example, what if one of our strategic outcomes is that we establish relationships that smooth our discharge process for patients transitioning to step-down care? Imagine how many departments and employees would be touched by that initiative. Not to mention our patients, who should benefit most from the improvement. If we are near capacity, why do we need a strategic plan? There is a need in Kentucky and beyond for the type of complex health care provided by UK HealthCare. As part of this strategic planning process, we’re going to assess where we have capacity and where we need to grow capacity and look at our facilities, our assets, our resources and our personnel so that we can grow to meet the needs of our patients. The plan will be developed in phases. We anticipate that a draft of the plan will be presented to the board at the June 2015 board retreat. If the draft is approved, then we will begin sharing it with employees soon after with a full rollout, which expected in late 2015.
Who is involved in devising this plan and why were they selected? We have more than 100 stakeholders from throughout the enterprise represented in some way in the strategic planning process. The people included in this process have been selected because we need a variety of perspectives – from nursing, physicians, support services, facilities, finance, marketing and others. We have striven to be as inclusive as possible while keeping the process manageable. You can be assured that your interests are represented in this process. How long will this plan last? We anticipate that this plan will take us through the next five years, until about 2020, or so. But we plan to be flexible. If we need to adapt it and update it sooner we will. Is there a way for me to share my ideas or opinions? Yes. There are a few ways to share your thoughts. One way is to share your ideas with your supervisor, who in turn can share it with the strategic plan representative from your area. Another way is to send an email to UKHCSLT@uky.edu. Your email will be sent directly to the strategic plan coordinators. For more information, contact UK HealthCare Public Relations at 859-323-6363.